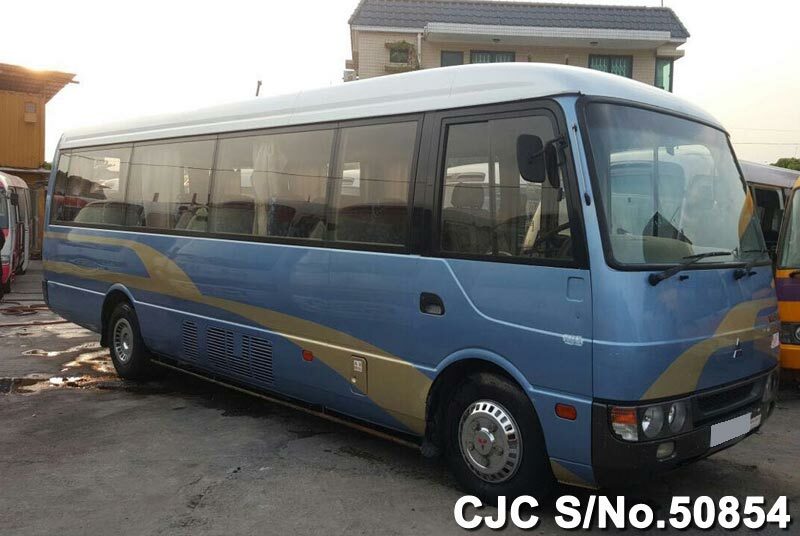 Mitsubishi Rosa is a Japanese MiniBus providing a superior edge in elegance and comforting transport for passengers. Its demand has been spread over all around the world including Asian, African, South American and Middle Eastern Region. This new minibus has a firm solid metallic shape having 3 doors with two swing open doors for easy entrance and exit of passengers. It has three basic shining colors including maroon, white and blue to catch the attention of passengers. The interior is highly spacious with various specifications of short, long and super long containing 25 to 34 comfy seating capacities for passengers. All the seats are designed with attached 3 point seat belts for maximum safety ride for passengers. It provides an ultimate performance with having powerful 4p100 Intercool Turbo diesel engine containing dynamic fuel capacity of 4.9 Liters. It has a right hand drive with both 6 Super Power Manual and Automatic speed transmission for high mileage precision. Car Junction is a leading Japanese cars Exporter provides new and used commercial vehicles for customers now offers Used Mitsubishi Rosa for sale at affordable prices. We have a huge stock of all kinds of Japanese Mini Buses designed by famous manufacturers including Toyota, Nissan and Mitsubishi Corporation.